All our after market standard replacement assemblies are made of aluminised steel for longer time span than mild steel. This assembly is designed to fit in the position of the original factory assembly section. All gaskets, Nuts and Bolts are sold Separately. This assembly may not fit if you exhaust if it has been modified or adjusted from the factory design in any way. 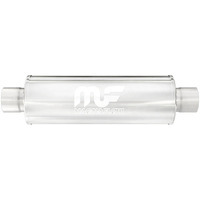 Rear Tail Pipe Suitable For Falcon EA AU Wagon 6cyl has a rating of 0/5 based on 0 reviews.